We provide the best service in sealcoating and paving to our customers and offer free estimates to all residential and commerical clients. Your driveway may already be showing the early signs of damage and you don't really notice. It will only get worse if you don't address the situation. 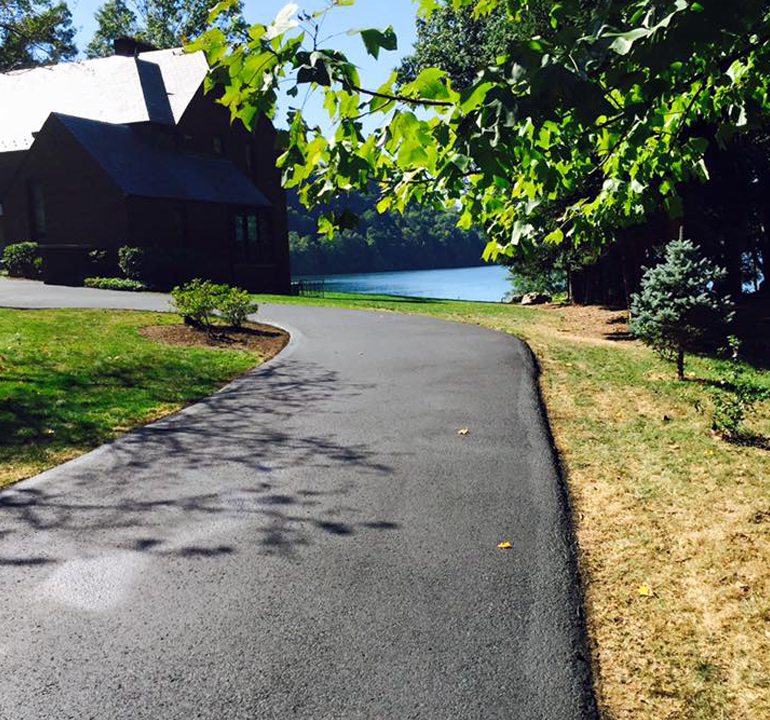 Professional sealcoating and crack sealing of your home's driveway will save you money and future repairs. Your parking lot is the "Welcome Mat" to your business. 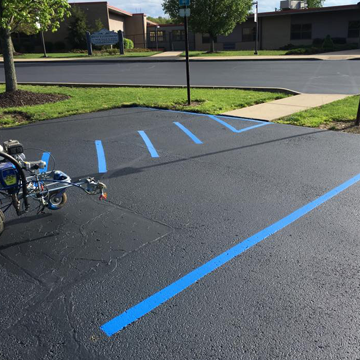 Sealcoating, crack sealing, and line striping are required to maintain the integrity and appearance of your parking lot. Our perfected process and industry-leading materials guarantee stunning results! 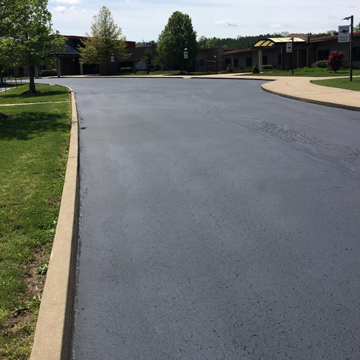 ARMOR SEALCOAT is an exceptional sealcoating and repair company that serves Fayette and surrounding counties in Western Pennsylvania and Morgantown, West Virginia. It is owned and operated by Barry Frey of Frey Tree Specialists, a local name you know and trust. ARMOR SEALCOAT is the area leader in asphalt (blacktop) sealcoating and repair. 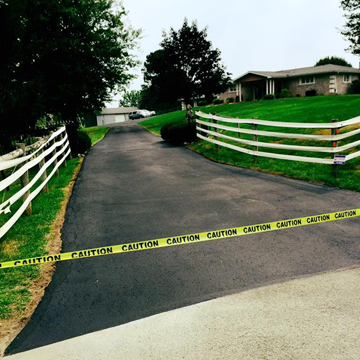 We provide professional, high-quality solution to asphalt maintenance and rejuvenation, using only the highest quality material to protect your investment. 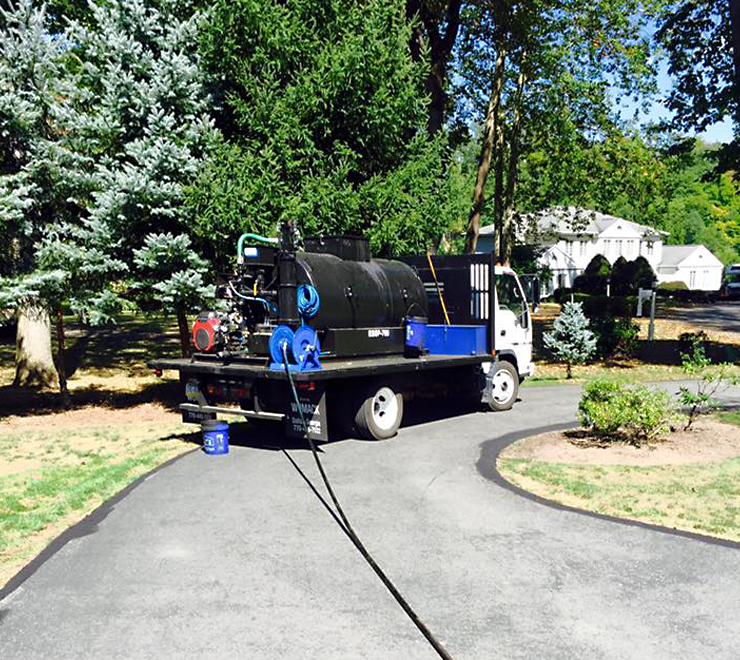 Residential sealcoating (driveway sealing) and blacktop maintenance, as well as commercial (parking lots, townhouses, etc.) sealcoating and asphalt repair are provided by ARMOR SEALCOAT. Our asphalt sealer and hot rubber crack filler are designed to be the toughest, most protective asphalt maintenance products in the world. We are fully insured. We're always proud to have hard-working people on our team. If you are interested in becoming part of the Armor Sealcoat family, send Barry your resume. Are the lines on your parking lot fading? Does your driveway need resealed? your lot with premium materials. • Apply protection against U.V. light, salt, water erosion and deterioration caused by fuel and oil. Got a question about our services? Need a quote on a job?